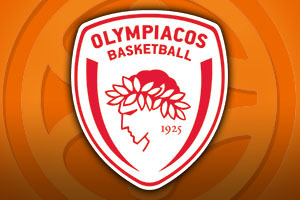 Spread Pick: Olympiacos with handicap +5 at 1.90 Over/Under: Over 149 1.90 Bet Now! This match looks like being one of the most exciting games of round 3 and you only have to look at the talent on show to get a feeling for why this game could be the one to watch on Friday night. The home side has players like Andrew Goudelock, Bogdanovic and Nemanja Bjelica to rely on while Olympiacos know that Vassilis Spanoulis is always in the mix, no matter the situation. When the Turkish and Greek meet you often get a fiery encounter and this match is likely to go along those lines. Overall in the Euroleague this season, Fenerbahce hold a 9-3 record, which includes a 1-1 record in their two games in the Top 16. They have been averaging 83.5 points per game in the Euroleague so they know how to get points on the board. A lot of this is down to the form of their US guard Andrew Goudelock, who has served up an average of 17.6 points per game this season. Goudelock has been ably assisted by Nemanja Bjelica, who has offered an average of 11.3 points per game while also offering an average of 6.5 rebounds per game. This could be a big night for Emir Preldzic with the player needing just 2 steals to reach 100 steals in the Euroleague and 11 points to reach 1,000 points in the Euroleague, so he should have plenty incentive to be at his best in this game. In their domestic league, Fenerbahce sit third, with an 11-4 record. They were convincing winners in their last domestic game, trouncing Besiktas by a score of 97-59. 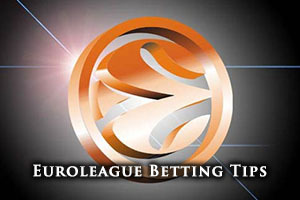 Olympiacos hold a 10-2 record in the Euroleague this season, and this includes a 2-0 record in the Top 16. The team has averaged 74.8 points per game in their Euroleague efforts and with Vassilis Spanoulis offering up an average of 16.3 points per game; you can see why they are in such strong form. Spanolulis has also offered an average of 5.5 assists per game while Othello Hunter has chipped in, the US forward providing an average of 7.8 points per game and an average of 5 rebounds per game. One thing that is definitely in the favour of the home side is that they have won 10 Euroleague games in a row in their Peace and Friendship stadium. This record runs back to the 2013/14 Top 16 when EA7 Milan grabbed a win. In their domestic league, Olympiacos Piraeus have been in great form, sitting in 1st place with an 11-1 record. They had a comfortable time in their last domestic game, winning 84-68 against Aris. While it could be a close encounter in Turkey, the odds of 1.90 for Olympiacos with a handicap of +5 is well worth looking out for. You can find bet with Bet365 and you will also find the Over/Under market well represented by going Over 149.5. We think this is a game that you will want to see and if you are keen to check out Fenerbahce v Olympiacos live, we can help you out. Bet Now!